If you’ve ever wondered why the outside of bakeries smells so good, it’s because they vent all the baking goodness from the ovens to the outside. While this may seem like a necessary part of baking, the effect of blowing the scent of freshly baked bread and desserts right into the face of customers that walk by can’t be denied. 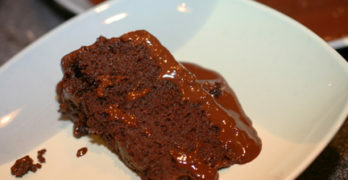 And just like the smell of a bakery can evoke certain feelings or emotions, the smell of your home can as well. While there are a lot of ways to add home fragrance to your home, like candles or sprays, essential oils are a great way to add feelings of warmth, comfort, and relaxation to your home. Plus, you can use essential oils in your home for a multitude of purposes. If you aren’t familiar with essential oils, here are some of the basic things you need to know. Essential oils are basically highly concentrated amounts of plant scents, mixed in an oil that can be vaporized. Essential oils contain the plant’s “essence.” Essential oils are used in everything from cooking to cosmetics to cleaning. 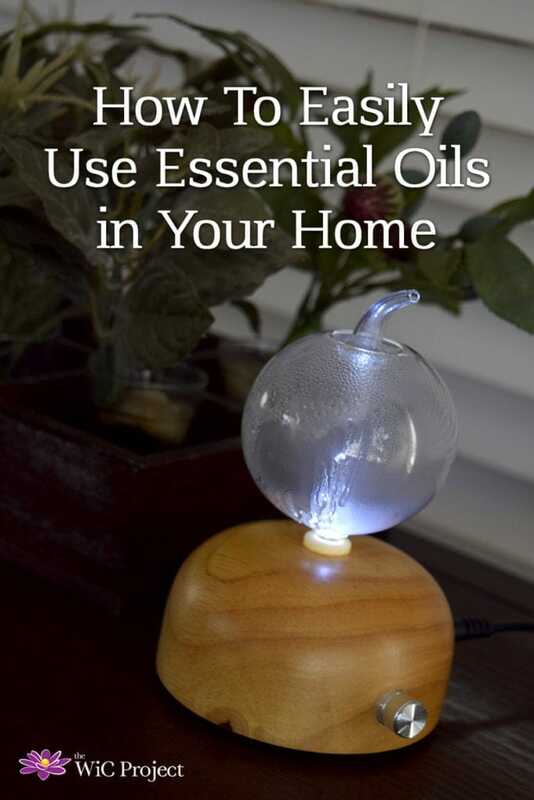 Today we’re going to talk about the aromatherapy uses for essential oils in your home. After adding your favorite essential oil to your diffuser, sit back and let the aromas work their magic. With the Utama Spice Essential Oil Diffuser, you just add a few drops and plug it in. The diffuser has a glowing white light while it’s on. This diffuser vaporizes the oil without using heat or water, which helps conserve the original properties of the essential oil. The glass tube at the top allows you to control the direction of the mist. Made of extremely fine droplets, the mist quickly diffuses into the air. One advantage to using an electric essential oil diffuser like the Utama Spice diffuser is that it will automatically cycle on and off for 2 hours. This avoids the dangers of open-flames from some other heating methods. Here’s a quick list of some of the most popular essential oils to use in your home, along with some of the aromatherapy benefits they provide. Lemon Essential Oil is perfect for giving your home a clean, crisp and fresh scent. 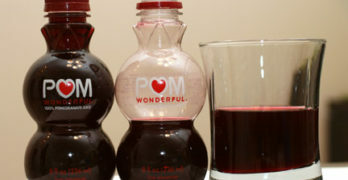 It can help you feel re-energized and lift your mood. It also has a multitude of other benefits, including being a natural immunity booster, relieving headaches, and cleaning extra sticky messes like gum or glue. Eucalyptus Essential Oil is one of my favorite essential oils. 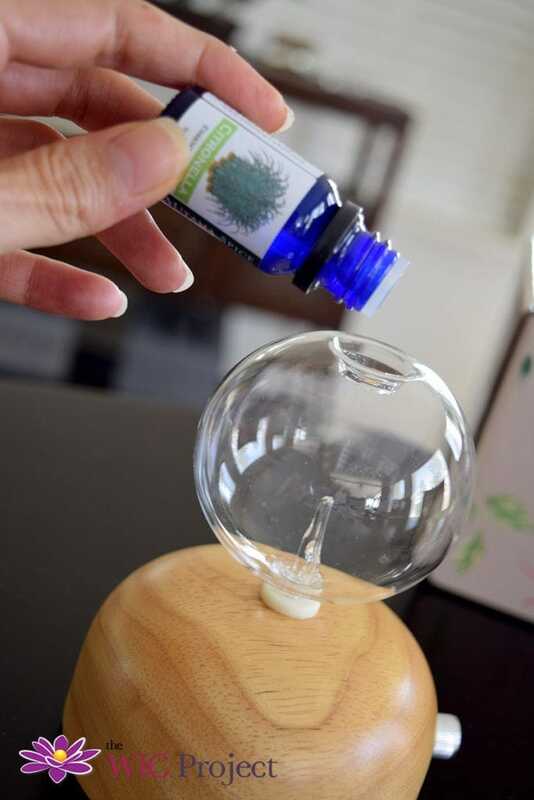 If you’re feeling congested, use eucalyptus essential oil as a decongestant by adding it to your diffuser. You can also mix 2 or 3 drops of eucalyptus with 1 tablespoon of coconut oil to create a soothing chest rub. Add it to your homemade cleaning products to take advantage of its antiseptic properties. Note, pregnant or nursing women should NOT use eucalyptus oil. 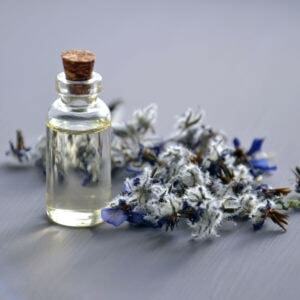 Lavender Essential Oil is well known for its calming effects. If you want to relieve stress, need help falling asleep, or want more calm, Lavender is what you’ll want to use in your essential oil diffuser. Peppermint Essential Oil is a great energy-booster and has a wonderfully cooling and refreshing effect. Create a refreshing, minty spray that’s a must-have for summer by mixing 5-7 drops of peppermint and 2 cups of water in a spray bottle. Citronella Essential Oil is a natural insect repellent. Place your essential oil diffuser in a central location, add citronella, and your summer evenings will be bug-free. There is a multitude of other essential oils available, each with their own aromatherapy mood-boosting benefits and practical uses. You can even create your own essential oil blends by mixing the different essential oils together. As you can see, it’s easy to use essential oils in your home. Whether you want to help your home smell clean and fresh or energizing the mood essential oils are a wonderful way to improve the feel of your home. 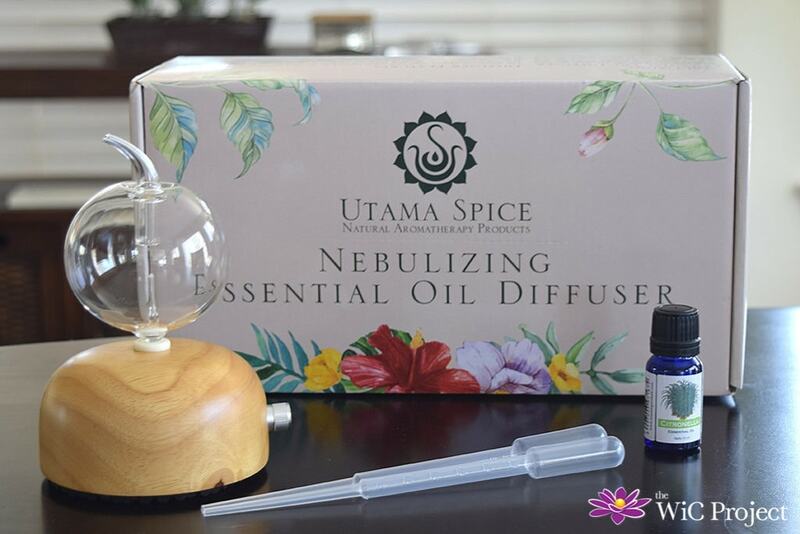 If you’re in the market for a new essential oil diffuser and quality essential oils, visit the Utama Spice website. Do you have any favorite essential oils? I love lavender and lemon.